A region perfectly suited for winemaking has a great many stories to tell. 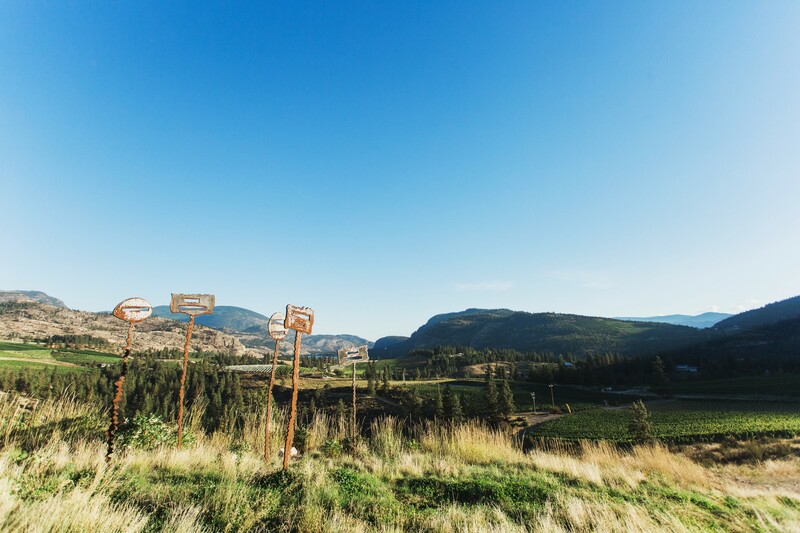 For the past six years, we have represented the Wines of British Columbia in all their remarkable, and delicious, glory. With a distinct character and rich photography from the region, the work is always a pleasure to create. Representing the best of BC. 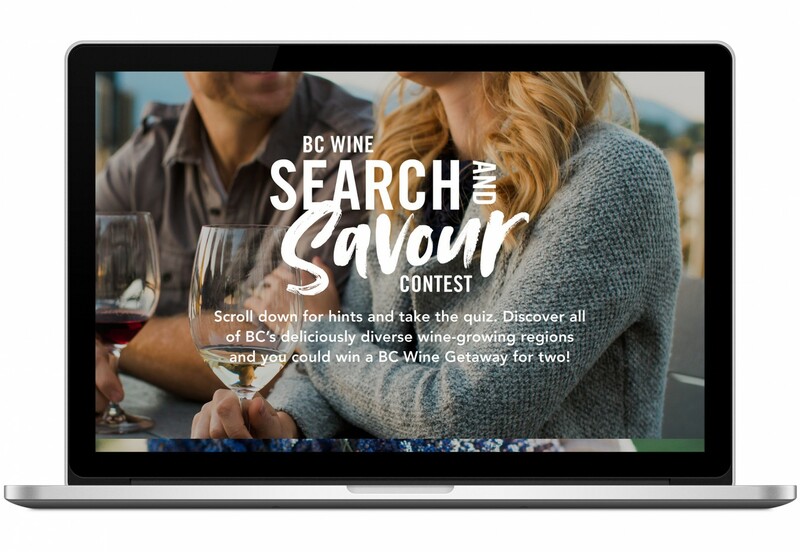 The Wines of British Columbia brand is used by the British Columbia Wine Institute to market BC’s world–renowned wines locally and internationally. 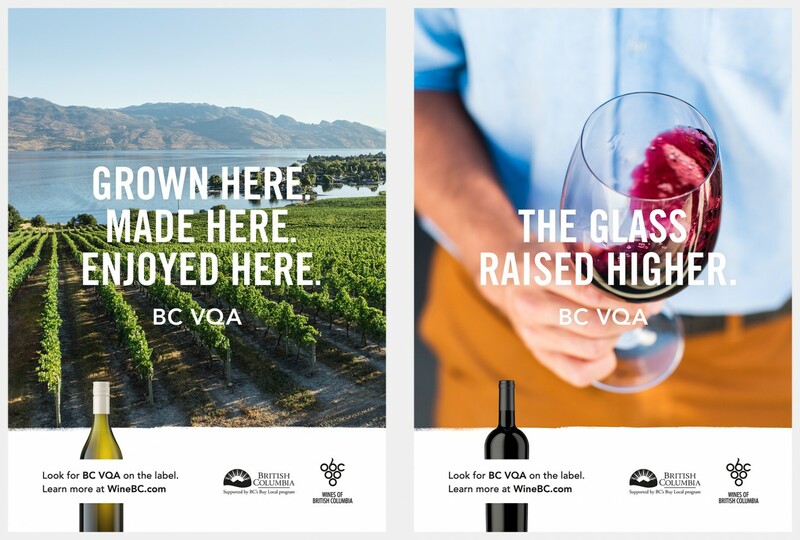 As the voice of the province’s wine and cider industry association, BCWI promotes BC’s five spectacularly unique wine regions and oversees marketing support for the BC VQA (Vintners Quality Alliance). 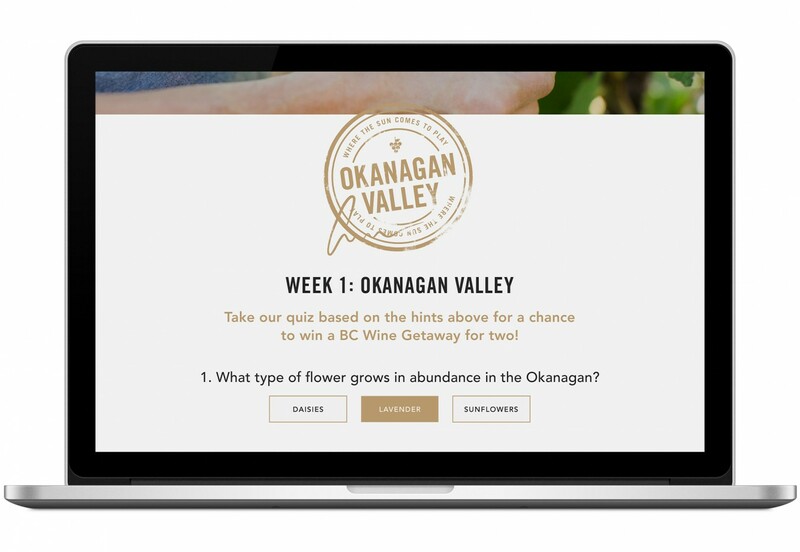 Since 2012, we’ve helped to shape and maintain the Wines of British Columbia consumer brand. 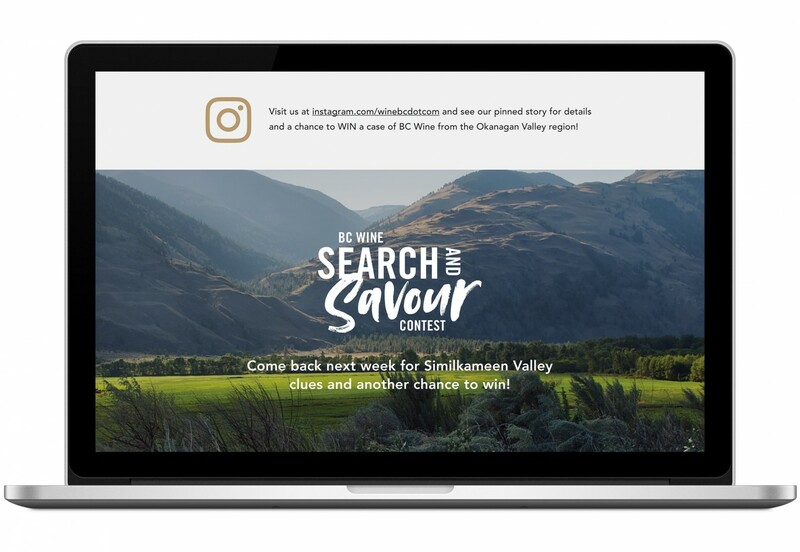 Each year, we develop strategic cross–platform campaigns that promote the BC wine country culinary and tourism experience, generate awareness for BC VQA, and build a connection with the people behind the bottle who make the wine so exceptional. 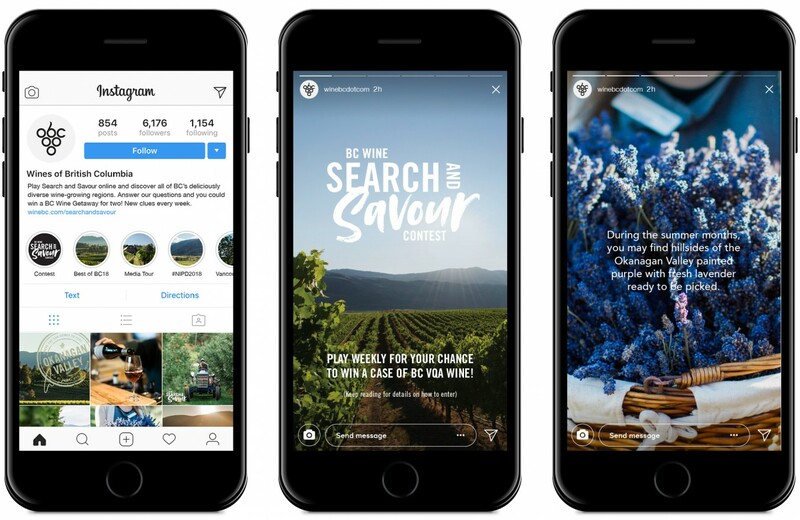 A targeted social campaign on Facebook and Instagram reached those interested in wine and culinary tourism across British Columbia, Alberta, and Washington State. In addition to an online campaign, traditional radio advertising was used to extend reach to the target audience. 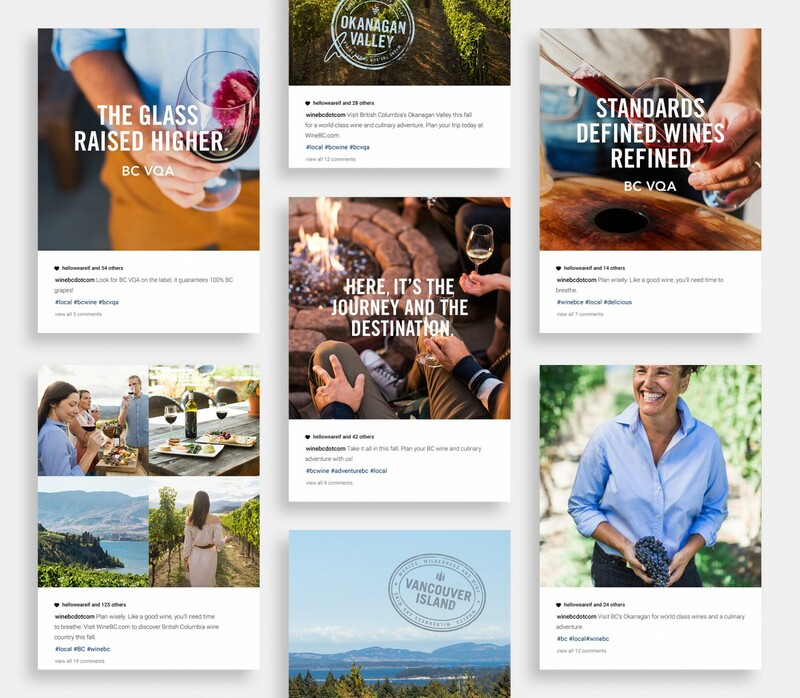 Geographical Indications (GI) have been formally established across BC, allowing wineries to label their wines with a distinct geographical location rather than just using British Columbia. 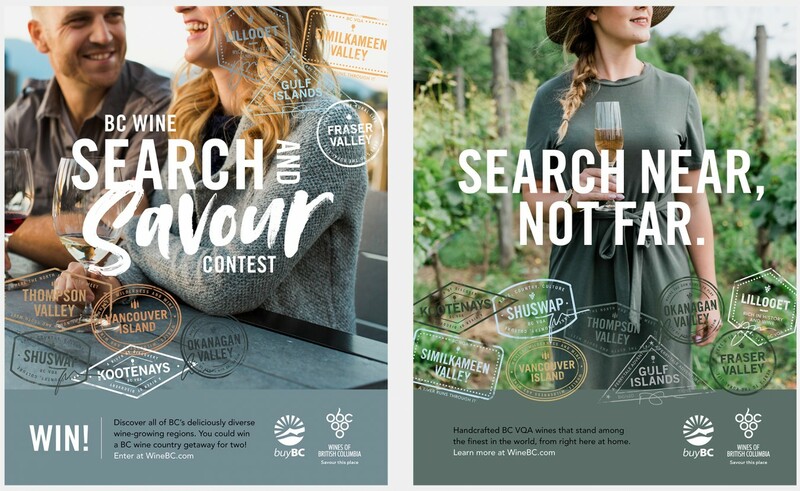 We worked with WineBC to develop a series of stamps, providing each GI with a unique visual identifier that can be used to market the regions collectively or individually. 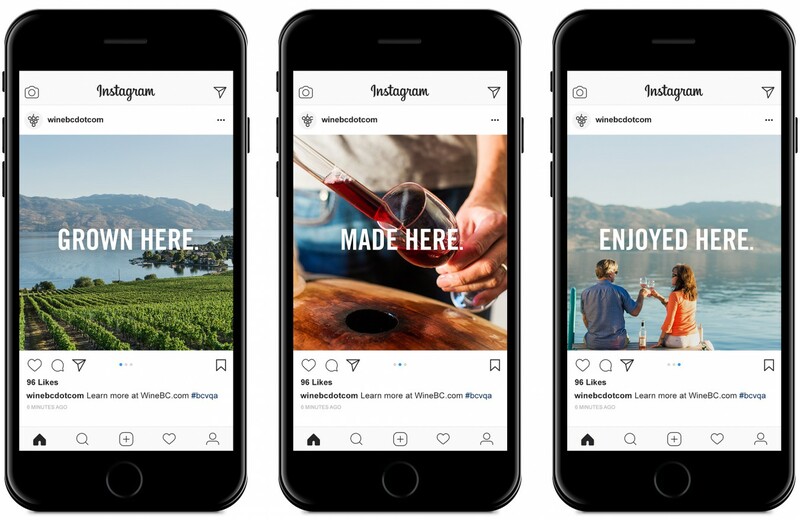 A GI related contest was promoted on social and sent participants to an engaging campaign landing page which captured contest entries and encouraged people to return week after week to discover all of the wine growing regions.